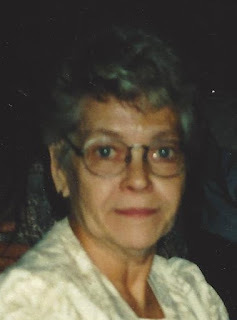 Deanna Renee Cooper, age 73 of Licking, Missouri, passed away on Tuesday, November 13, 2018 at her quiet rural home. She was born to the late Earl Hall and Ruby Hall on November 19, 1944, in Licking. Deanna attended Licking High School when she met her late husband Coy Eugene Cooper at a neighboring school. They later married on February 2, 1963, and she enjoyed 49 years of marriage with Coy. Throughout her life, her love of family and friends always fostered large gatherings and holiday parties around her family farm. A product of this love has left behind many friends that she adopted as “family”. Deanna is survived by her two sons; Steven Cooper and wife Kathy of Licking, and William Cooper of Licking. Deanna is also survived by her brother, J.D. Hall and sister, Ruth Housden-Canfield, one grandson, one great-grandson, and numerous nieces and nephews. Deanna requested an intimate burial, with everyone that has shared in her life’s journey, not far from her home at Prescott Cemetery where she was laid to rest next to her husband Coy. Services were held on Saturday, November 17, 2018. Visitation began at 10:00 a.m. and the funeral followed at 1:00 p.m. at Fox Funeral Home, 128 S. Main St., Licking. In lieu of flowers, memorial contributions in Deanna’s name may be made to Three Rivers Hospice. Arrangements entrusted to Fox Funeral Home. Online condolences may be left at www.foxfh.net.